Vintage Seahorse Pendant Only $3.37 PLUS FREE Shipping! You are here: Home / Great Deals / Amazon Deals / Vintage Seahorse Pendant Only $3.37 PLUS FREE Shipping! 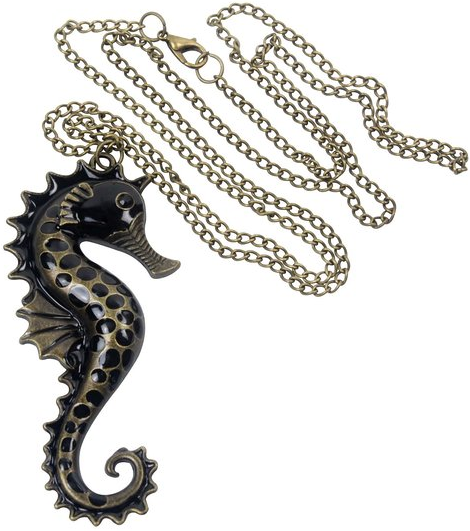 This cute Vintage Seahorse Pendant is Only $3.37 PLUS FREE Shipping! This is the perfect piece to compliment any outfit this summer! Wouldn’t it be cute to wear to a trip to the beach? Thanks to Raining Hot Coupons!